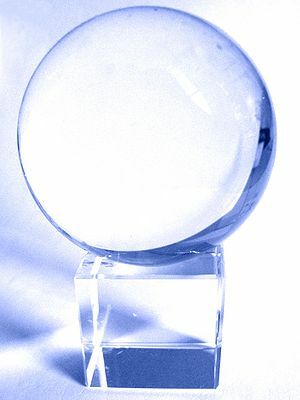 A Crystal Arena is actually pretty simple: it’s a crystaline sphere resembling a classical crystal ball. The characters who want to use it simply touch it, commit three motes of essence (or willpower if they have no essence pool) to it, close their eyes, and sit back to wait a few moments for the arena to “take form around them”. Actually, they never leave their chairs. The “arena” is a purely a group mental illusion – a nigh-perfect, if consequence-free, temporary simulation of reality. “Within” a Crystal Arena’s simulated setting (which may be virtually anything the users know enough about) characters can hold parties, train in the use of wildly destructive spells and charms, and engage in wild, free-for-all battles (whether directly or with whatever support they could actually draw on) without actually risking injury or expending resources other than the three original motes of essence. If they want to, they can go completely unhinged. Users may freely opt to conceal supernatural abilities or alllies from the Crystal Arena, but – in that case – those concealed abilities will not affect the outcome and cannot be used in the simulation. They may also opt to commit nothing to the Crystal Arena, but – in that case – they are merely obeservers. The user’s will still be able to hear such observers commentary – after all, their actual ears continue to function perfectly well despite their immersion in the illusion – but observers cannot actually affect events “within” the arena. Characters training “in” a Crystal Arena need not fear injuries, and can simply drop out and then begin again when they “run out of” motes, willpower, or endurance – a considerable advantage. The user of a Crystal Arena reduces training times by one-half and allows user’s to go into experience point debt – albeit by no more than eight points. A few Crystal Arenas are in use as entertainment centers – either as “gladatorial arenas” which allow the most extravagant opponents and powers or for more personal activities. Fortunately, the fact that the user’s must commit essence to the arena voluntarily and may withdraw at any moment has prevented their use as instruments of torture or interrogation. Thaumaturgic Art of Illusion/Virtual Combat Arena. Takes effect in One Turn (+2D), Area Effect/Farm (to cover large groups, +3D), Duration up to Hours (+2D), Covers all senses, including essence-based senses (+6D), Detailed (+1D), Animated (+1D), Mobile (+1D), and Convincing (+1D) = Difficulty 17. 20 successes will cover that, so it’s (Class-B). Thaumaturgic Art of Divination/What would have happened if the actions taken “in” the arena had actually occurred: Takes effect in One Turn (+2D), Area Effect/Farm (to cover large groups, +3D), Duration up to Hours (+2D), Individuals (+5D), Precise Results (+6D) = Difficulty 18. 20 successes will cover that, so it’s (Class-B). Half Training Time is a Class-B general utility function – if that (things like doubling ground movement are a lot more generally useful) (Class-B). Training effects start at Essence 3, and, while this one is very general, it’s also extremely limited; an eight-point maximum is fairly trivial. In any case, Essence-3 effects are Class-B powers, so this is (Class-B). Artifact Design: Power 4 (4x Class-B), Usefulness 2, Plot Impact 1, Script Immunity 1. Net Rating = 8/4 = **. A Crystal Arena can be awfully convenient if you’re trying to train, spar, or test your abilities quietly, but – in most cases – it’s easy enough to slip off into wilderness for things like that anyway.